Experienced in modern eye health diagnostic and vision correction services, Cindy Serra, OD is a trusted practitioner in the Bronx, New York. At Bronx Eye Associates, Dr. Serra cares for patients of all ages, including children and seniors. 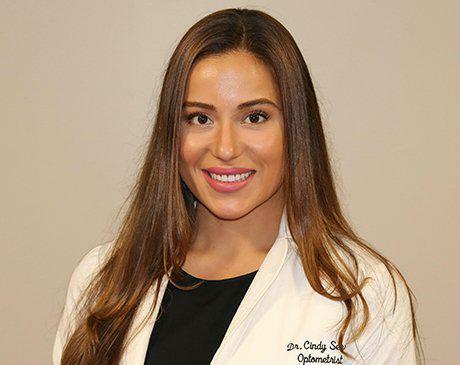 Dr. Serra earned her bachelor’s degree in biology with a minor in foreign languages through Fairfield University in Connecticut. She was then accepted into the State University of New York (SUNY) College of Optometry, where she earned her doctor of optometry. During her graduate program, Dr. Serra was part of a community mission in Peru through the student chapter of Volunteer Optometric Services to Humanity (SVOSH). She examined over 200 patients who were living in a poverty-stricken area where ocular care wasn’t obtainable and dispensed eyeglasses as needed. Throughout her career, Dr. Serra has focused on providing comprehensive eye exams and detecting early warning signs of chronic eye diseases. She has a background in diagnosing and managing glaucoma, hypertensive and diabetic retinopathy, chronic dry eye, and macular degeneration. Dr. Serra is also experienced with modern contacts for hard-to-fit eyes, including multifocal lenses to correct near- and farsightedness, as well as toric lenses for astigmatism. Fluent in English, Spanish, and Portuguese, Dr. Serra can communicate with many patients from diverse cultural backgrounds.